A good novel has a really exciting conclusion. A good presentation should have one too. Unlike a novel though, your conclusion does not have to be a surprise or a cliffhanger – it should be predictable and your final words should hang in the air and stay in the mind of the listener. Most importantly though, it demonstrates your competency as a speaker and shows that you are earnest about your subject. While this is one of the most critical parts of your talk, many speakers give it inadequate attention. They reach the end of their talk and trail off into nothingness, losing the final WHAM the conclusion should deliver and hurting their credibility as a speaker. Tell them what you hope they will do next. Think of it this way – your audience is most likely to remember your final words – so choose those last thoughts carefully and deliver them with a punch! 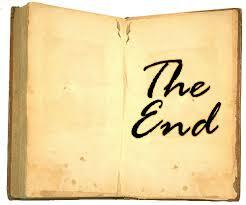 The ending of your talk is critical: it is like the final chapter in a book, the punch line of joke or the last chord of a song. To maximize your effectiveness as a speaker, take the time to create a well thought out, well rehearsed concluding statement. “No one threw fruit “(yes, they really say this to me!). This is all good except nervousness is not a gauge of effectiveness, people don’t really throw fruit (at least in this country), your friends tend to say you do well, and not asking questions probably means they want the fastest way out of the room. A “good” talk is not about “getting through it”, or “conveying information”, or about getting the audience to laugh. A good talk brings about a change of attitude, belief, or behavior. When finished, an effective presentation is one where you meet the objectives you set before you spoke. In sales, this may mean an increase in closed sales. In management, this may mean changing employee behavior. As a scientist, this may mean increasing support for your project. As a parent, this may mean a reduction in household tension. In non-profits, this may mean more money and volunteers to accomplish your mission. You probably do not need help with your talk UNLESS you are interested in increasing your effectiveness. If you are satisfied with the status quo, if you are pleased with the current rate of change, if you are not interested in accomplishing more in less time, the you clearly do not help with your presentations skills. If however, you are interested in change, improvement, and efficiency – get help with your presentation skills. Hire a coach, attend a workshop, read a book. 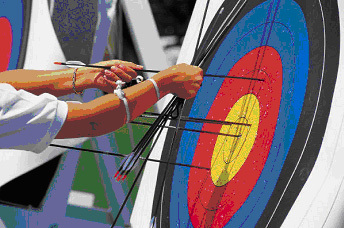 Treat your presentations as if you are an archer…aim for the target and each time you shoot, try to get the next arrow even closer to the middle circle. Click here for information on upcoming workshops offered by iSpeakEASY. Knowing your target makes it much easier to hit. 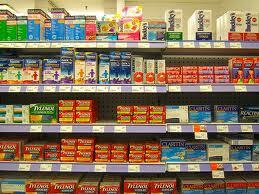 When my children were young, I dreaded going to the store to buy children’s aspirin. I remember standing there at the wall of products completely overwhelmed and very clear that there were many options but not clear at all about the right choice. Aspirin, Tylenol, ibuprofen or store brand? Pills, capsules, chewable, or liquid? Infants, child, teen or adult? Cherry, berry, or grape? Coated or uncoated? With fever reducer or without? 10, 25 or 100? It was too much! I always worried that no matter what I brought home, it would not be the right choice. Speakers often overwhelm audiences in the same way. In an effort to fully educate, to tell the whole story, we give too much information and too many options. We give more than the audience wants, can remember, or can even keep straight in their head. Speakers often try to cram what has take years or even decades to learn into a 40 minute presentation. An effective speaker brings clarity into the minds of the audience by offering one clear message. An effective speaker supports that one message with 3-5 supporting points, and they are done. An effective speaker keeps it clean and simple. 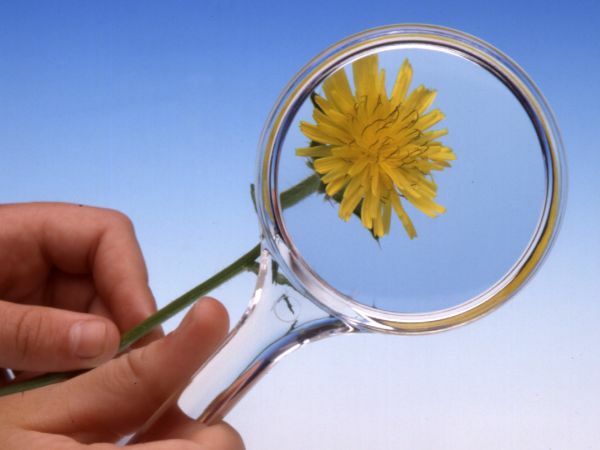 An effective speaker is able to discern what needs to be stated and what needs to be left out. An effective speaker helps bring clarity to the audience. Take the time to figure out your one message and find your three to five supporting subtopics, and leave everything else out. The worst that can happen when you give less is your audience will want more information and ask you a question.